In Laramie, Wyoming one of the Harrington's all-time favorite restaurant is a place by the name of Sweet Melissa's. Now, aside from the fabulous name choice, the restaurant has a phenomenal all-vegetarian menu. And while our readers may be well aware that the man Harrington in particular has a deep love for meat and that Melissa gets her share too, the truth is they know the value of a good vegetarian meal. In fact, most of their home cooking is more aligned to that of a vegetarian than a raging carnivore. Regardless of the Harrington's personal food choices, suffice it to say, the couple is always on the look out for restaurants that have foreigner appeal and a vegetarian restaurant is most definitely appealing to the vegetarian tourists or expats in South Korea who quickly discover that if there's no meat in the dish, there's likely to be fish sauce and if there's no fish sauce, there's likely to be meat. So with an understanding that vegetarian meals are a) good for the soul and b) hard to come by in South Korea, the Harrington duo made their way out to Machera Well-Being a vegetarian buffet at the end of the Subway Line, Banseok Station. 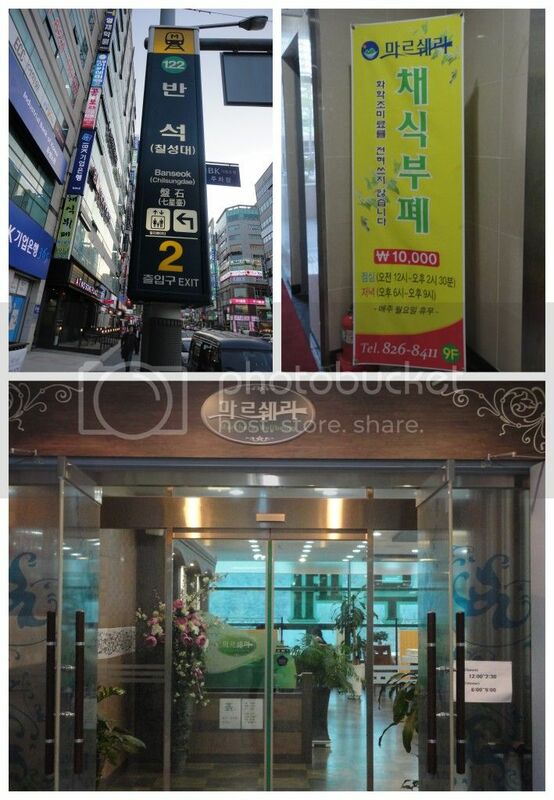 The couple was surprised at how easy the buffet was to find, as in how close the restaurant truly is to Exit 2 of Banseok station. As in, when you come out of the Exit, turn left immediately, hit the elevator button and go to the 9th floor. It's right out of the Exit. (same building as IBK Bank, called New Town Plaza, just in case you're nervous with the lack of specifics. Aside from the ease of finding the restaurant once you make it to the edge of town, the buffet offers a fantastic variety of common Korean foods including: kimbap, dok-pokki, bibimbap, noodles, tempura vegetables, bulgogi (with tofu 'beef'), spicy tofu, japche, salads, fruit, traditional drinks and rice cake. 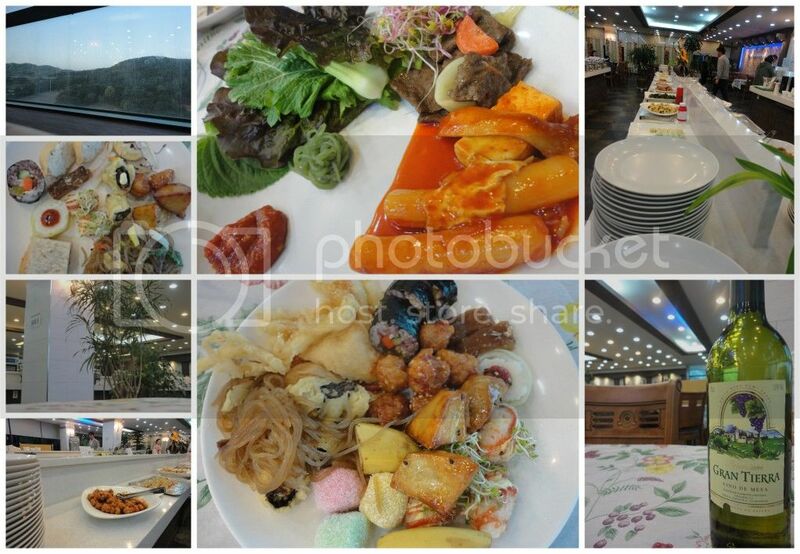 For 10,000 won, diners can enjoy unlimited trips to the buffet to try vegetarian versions of some of Korea's most popular dishes, confident that each is 100% vegetarian and even vegan friendly (the couple didn't note any eggs or cheese/dairy being used). The Harrington's are always happy to see eating opportunities provided for those who have eating restrictions/preferences. However, tofu bulgogi is nothing compared to beef bulgogi and that will always be true for the Harrington duo. Regardless, there are some great options available at Machera Well-Being and it's definitely a buffet worth visiting if you're interested in or committed to vegetarian eats.